An eating disorder causing people to obsess about weight and what they eat. 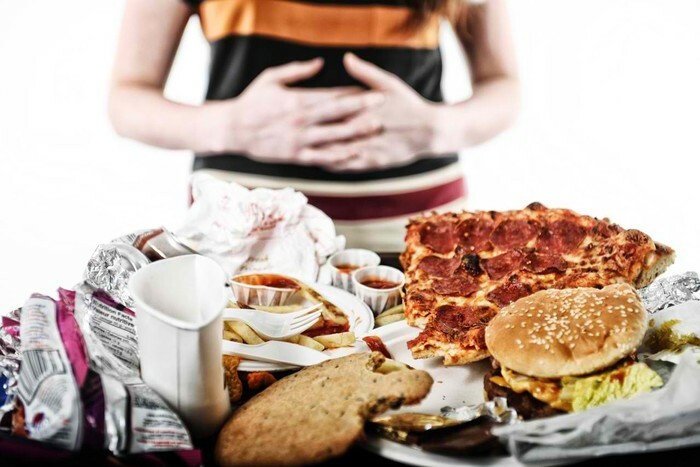 Bulimia is a potentially life-threatening eating disorder. Regularly eating far more food than most people would in a similar time period under similar circumstances. Symptoms: Over weight, Impulsive eating, Feeling depressed or disgusted about your eating habits.